By Gabrielle Healy, Amy Sherman on Friday, April 28th, 2017 at 11:49 a.m.
House Republican leaders gave up their goal of putting a new health care law overhaul up for a vote this week leading up to President Donald Trump’s 100th day in office. But some GOP leaders are hopeful that their latest effort will ultimately garner enough Republican support to bring it to a vote soon. 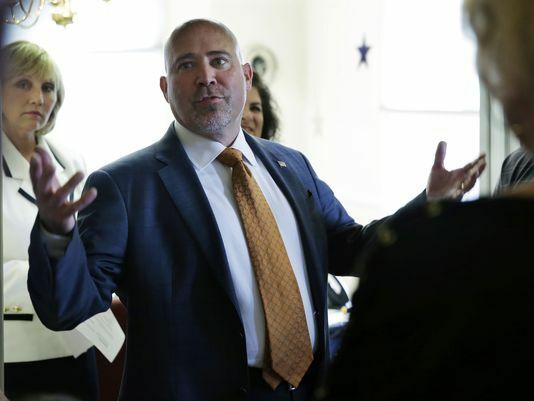 Rep. Tom MacArthur, R-N.J., drafted an amendment during the last week in April to the American Health Care Act, or AHCA, which was designed to replace the 2010 Affordable Care Act. A key part of the amendment is that it would allow states to apply for waivers to some requirements in the law. Trump’s promise to repeal the Affordable Care Act stalled when the GOP’s bill died in March without a vote after different factions of the Republican Party couldn’t agree on the bill. The AHCA retains some parts of Obamacare, but eliminates the insurance mandate and modifies the size and recipients of subsidies. By 2026, the AHCA would increase the number of uninsured people by 24 million, according to the Congressional Budget Office’s March analysis. Here we will take a look at the provisions of the amendment and summarize what supporters and critics have said about it so far. We read an analysis by Kaiser Family Foundation and interviewed several health care experts including Timothy Jost of Washington and Lee University School of Law; Michael Tanner at the libertarian Cato Institute; Linda Blumberg, a senior fellow in the Health Policy Center at the Urban Institute who was a health policy advisor to the Clinton administration; and Thomas Miller, a health policy expert at the conservative American Enterprise Institute. The House Freedom Caucus -- which was instrumental in shooting down their party’s bill in March -- said they supported the MacArthur amendment because it would now "grant states the ability to repeal cost-driving aspects of Obamacare left in place under the original AHCA." But not all Republicans are on board. Democrats opposed the amendment and predicted that millions of people would lose health insurance or see an increase in premiums. What does the amendment say about waivers? The amendment would allow states to obtain waivers to some requirements of the Affordable Care Act, including the "essential health benefits" provision that requires maternity care or mental health services. This would allow states to dictate what type of benefits -- and drugs -- insurers would have to cover, Jost said. "Since the ACA’s prohibitions of lifetime and annual limits and cap on out-of-pocket expenditures also only apply to essential health benefits, states granted a waiver would be able to define these protections as well," Jost wrote in his Health Affairs Blog. "The changes to the lifetime and annual limits and to the out-of-pocket caps could potentially apply as well to large group and self-insured employer plans." In their applications for waivers, states would have to show that the waiver would accomplish one or more of the following: reduce average premiums, increase enrollment, stabilize the market, stabilize premiums for individuals with pre-existing conditions or increase the choice of health plans. The federal government would have 60 days to approve the waivers. The amendment also permits insurers to set premiums based on the "health status" of an individual by looking at their current and past health status and make predictions about how much an individual will use medical care in the future, Blumberg said. That means it could be costlier for some consumers who are sicker but cheaper for those who are younger and healthier. Currently under the Affordable Care Act, premiums can only vary based on certain conditions such as where people live, their age and whether they use tobacco. What does it mean for pre-existing conditions? The amendment states that "nothing in this Act shall be construed as permitting insurers to limit access to health coverage for individuals with pre-existing conditions." Instead, the waiver would allow states to set up a high-risk pool or participate in a new federal invisible risk-sharing program to help states reimburse insurers for covering high-risk consumers. "No state may obtain a waiver for health status unless it has taken these efforts to protect those who might be affected," stated a MacArthur press release. "In states with a waiver, individuals who maintain continuous coverage could not be rated based on health status." That means people who stay insured without any lapses won’t be charged more if they get sick. But experts said that many low-income people aren’t able to stay covered without breaks, and that questions remain about the high-risk pools, such as how much funding would be set aside for them and their effectiveness. Jost wrote that the health-status underwriting "could effectively make coverage completely unaffordable to people with preexisting conditions." How many states would seek waivers, and who are the winners and losers? States could seek waivers for some parts of the law -- for example, for drug rehab -- but not others. Overall, the amendment hands more power back to the states and ultimately insurance companies. It’s hard to pinpoint the numbers of consumers affected because it’s unknown how many states would get waivers and how much flexibility they would give insurers, Blumberg said. But she predicted that more would end up uninsured as a result of the waivers. For younger or healthier consumers, the waivers could lead to less expensive coverage. But older or sicker individuals could face more expensive coverage. Miller said one big variable is how any waiver agreements would be interpreted and enforced. It’s unknown how many details federal officials would ask states to supply or whether the federal government would simply rubber stamp whatever is submitted. At this point, what is left is a lot of question marks. "There are way too many steps down road to know where it ends all up," Tanner said.